Most people are familiar with Bluetooth headsets. What they might not know is that there are some models specifically recommended for truck drivers. Bluetooth headsets adequately used by truckers are designed with the strength to handle any conditions in the cab. Additionally they have a superior battery life of up to ten or twelve hours. Following is a list of ten of the top Bluetooth headsets for truckers. Each of these can be found on Amazon. They are representative of different styles of Bluetooth headsets and various price ranges. Any of these would be an excellent choice. 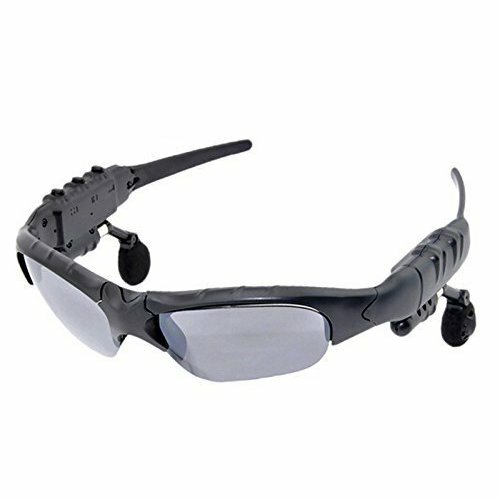 PowerLead Psug P004 Bluetooth Sunglasses Headset. Protect your eyes and your vision from the ultraviolet rays of the sun while enjoying many other Bluetooth perks. This stereo hands-free Bluetooth 4.1 headset comes in grey. The set can be utilized with all Bluetooth mobile phones as well as for a listening device for music and other audio applications. This product can also be used to take photographs with the touch of a button right on the device. The PowerLead Psug P004 supports four languages including Spanish and French. It is extremely comfortable to wear for lengthy time periods. The PowerLead Psug is perfect for truck drivers. This Bearded Blue Bluetooth 4.0 Wireless Sports headset is a hands free calling headset in high fidelity stereo that comes with a built-in microphone for hands free calls and optimal noise reduction. This set can be utilized with smartphones, other types of mobile telephones and tablet computers. It offers music that is free from skipping and a playing time of up to eight and one half hours. The Bearded Blue Bluetooth is designed to be sweat proof and is very comfortable to wear. Although not noted in the product name, this headset is a viable option for a truck driver. Many drivers are quite happy with its performance. 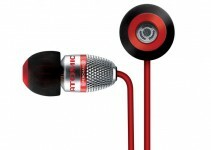 This over-the-head set of headphones comes with a microphone and is rechargeable for up to thirteen hours at a time. The Cypress Digital Stardrift works with an extensive number of Bluetooth enabled telephones. It boasts up to thirteen hours of talk time and up to two-hundred twenty hours of standby time. 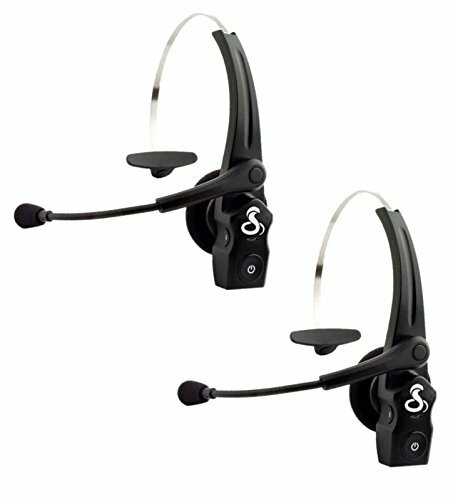 For the trucker who is more concerned with being able handle vast numbers of telephone calls than entertainment, this is the best Bluetooth headset available. 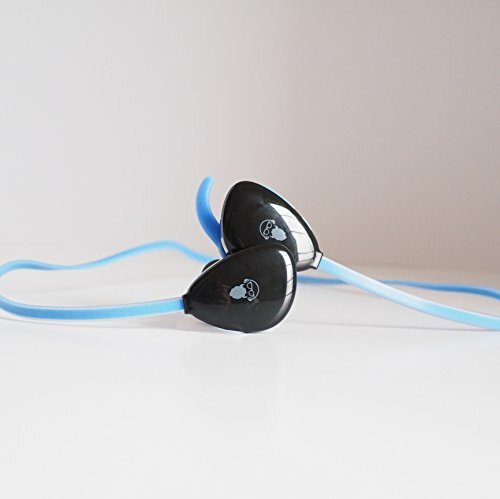 Its soft ear cushion is known to be skin-friendly and extremely comfortable. The Cypress Digital Stardrift receives an extremely high rating from the truckers who use it. 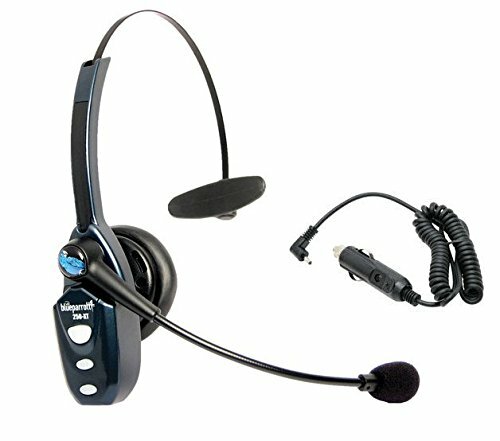 This heavy duty Bluetooth headset has one of the longest talk times and standby times in the industry. The talk time is up to twenty hours and standby time up to four hundred hours. Its soft lightweight over-the-head design make it extraordinarily comfortable for truckers to wear. 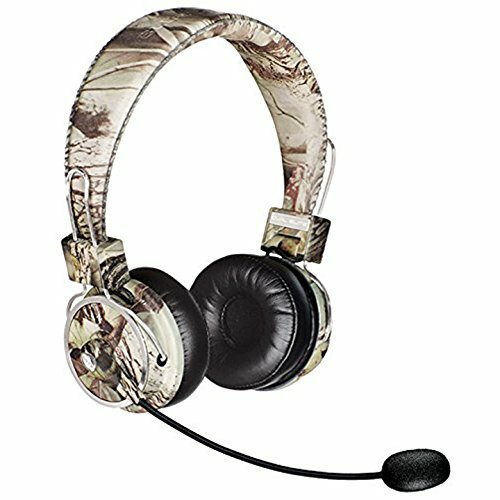 This headset includes an active T5 noise canceling function that enhances the overall clarity of sound that comes from it. This product comes with a USB and a vehicle charger. Truckers love it and give it a four and a half out of five star rating. For more than four years Blue Tiger has been producing superior quality noise canceling headsets specifically with truck drivers in mind. 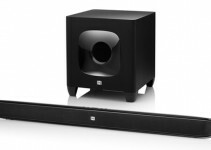 They feature nearly fifty hours of talk time and an unequalled caliber of Hi-Fi performance speakers. 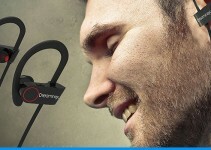 This Bluetooth headset is especially great for entertainment as well as business usage. The soft flexible ultra-comfortable headsets fold neatly away for efficient storage capabilities. They consistently receive five out of five star ratings from their clientele. 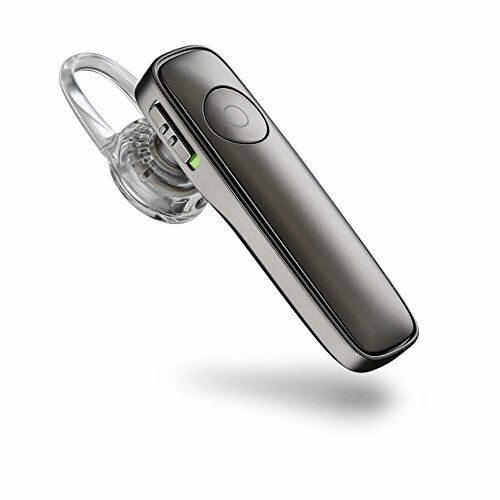 This professional grade wireless BlueParrott B250-XT Bluetooth Headset has a sixty-six foot talk range and can be paired with three separate devices. It is highly compatible with Bluetooth cellular phones in addition to computers and is DOT approved. It has an excellent noise canceling microphone and ear piece and is superb for blocking out the inherent noise of an eighteen wheeler. The BlueParrott can conveniently be charged either inside the vehicle or at home. Truck drivers simply rave about this product and give it a high rating. Never miss an important call while on the open road with this exceptional make of Bluetooth headset. It is lightweight, sturdy and hands free with up to thirty hours of talk time and a full six hundred hours of standby time. It can successfully connect to two devices at a time. It fits comfortably over either ear and comes with an adjustable strap. The FRiEQ Noise Canceling Wireless Bluetooth Headset is virtually perfect for the heavy travel regimen of a trucker. This device receives super reviews from the drivers who have purchased it. The Top Dawg Trucker Bluetooth Dual Ear Stereo Headset is perfect for the trucker who enjoys listening to music or watching videos at different points of his travels. It is also superb when he needs to take telephone calls. It is capable of blocking up to four times the amount of external noise than that of competing brands. Its padded design fits over the trucker’s head and yields crisp loud stereo audio in both ears and is quite comfortable to wear. The Top Dawg Trucker Bluetooth Dual Ear Stereo Headset costs a little bit less dough than the competition, yet does not sacrifice quality. That fact can be ascertained from its excellent customer reviews. The Plantronics M180 Wireless Bluetooth Headset is a little more compact than some of the other brands mentioned here; however, the quality of this product is remarkable. It is compatible with Androids, iPhones and most of the other leading Smartphone types. 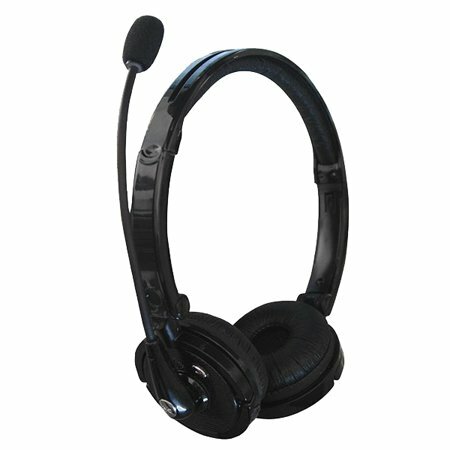 Its voice control feature can be activated with the simple pressing of a button on the headset. Audio reception on this device is clear and always free of external noise. Its light and comfortable design is intended to conform to the shape of either ear and will not constantly fall off. This is crucial when a driver is trying to focus on the road ahead of him. The Plantronics M180 has an amazingly long battery life, which is a factor in the exceptionally high rating it receives. This uniquely designed product is fantastic for keeping a trucker’s head warm while he enjoys all of the pleasures associated with a Bluetooth headset. It is comprised of universal Bluetooth technology and is able to connect to a wide array of media player devices. 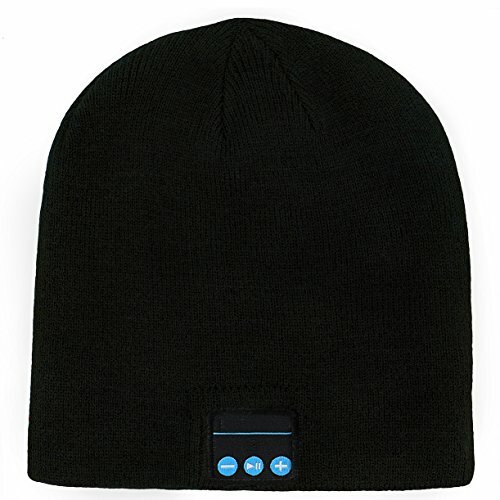 The Bluetooth beanie has an enhanced audio system for an unmatched listening experience. The driver can also make and answer telephone calls from the beanie. Through the use of a USB cable, the Deego HD Stereo Premium Sports Bluetooth Hat Wireless Smart Beanie Headset Musical Knit can be charged easily and quickly. It is both practical and stylish at the same time. Truck drivers everywhere give this Bluetooth beanie a very high rating and superb reviews. Truck drivers have limited space, limited charging options, and a lot of noise. The best Bluetooth headsets are going to be ones that are fairly small, can be charged on the go quickly, have a long battery life between charges, and with noise cancelling properties. Because they spend so much time on the road and can’t be certain when they’ll be home or in the same place a second time, it’s also important that they have a headset that can be matched up with a generic charger, and also can be returned, replaced, or re-purchased just about anywhere (think shopping at big box stores, national chains, etc.). Truck drivers spend long hours on the road, and away from home. They need to make phone calls to check on family, to discuss the load they’re hauling, get directions, schedule appointments, and simply to abate the boredom of long hours spent staring at stretches of road. That all makes it critical that the headset they choose is one that is comfortable. There are options that fit into the ear, as well as ones that fit over the ear. When choosing an in- or over-the-ear option, drivers should remember that this will be used for many hours a day, and consider whether having it in their ear is going to be comfortable for that long. You also need to make sure that it will stay firmly in place, as you turn your head to watch traffic, change lanes, and walk around to check your freight. Size may also need to be considered. The cab of a semi-truck is a home-away-from-home for most truck drivers, and will be cluttered with paperwork, pens, photos, electronic devices, books, and maybe even trash. A small headset might be convenient on the head, but if it gets lost on the dashboard, passenger seat, or in a compartment, it won’t be much use. A larger headset that is easily visible may be a better option. Semi-trucks are loud. Their engines are enormous, and there’s just no way to quiet them down. Highway traffic isn’t very quiet, either. Even when a driver is stopped for the night, many times they leave the engine or a generator running to watch TV, run air conditioning or otherwise have some comfort. A headset that can cancel out all, or at least a good portion, of noise will be critical to having easy, comfortable conversations. Along with noise cancellation, look for good sound quality. Noise cancellation ensures that the person on the other end of your call doesn’t hear all the excess noise and can hear you better, but if you can’t hear them because the volume doesn’t go high enough or it’s scratchy or cuts out, it’s still not going to make for a pleasant phone call. When you’re guiding several thousand tons of truck down the road, the last thing you want or need is to have to manually answer calls, adjust the volume, or hang up. A quality Bluetooth headset will allow you to do these things with your voice, so you can keep your hands safely on the wheel, where they belong. While you’re going to mostly want the Bluetooth headset for phone calls, there are a few extra benefits that you can get with some headsets that might be worth the extra money for you. Some headsets come with an app that you can install which will then read your texts to you in real time as they come in. While they may not allow you to dictate a response to the text, it will at least allow you to determine whether a text is urgent and requires you to find a place to stop ASAP.